Closing "Creative Output of the Fox"
One of my side blogs was called "Creative Output of the Fox". It didn't get a lot of love, from visitors or from me. I made a couple of promises to get some images on it, but they never really went anywhere. Instead, I've decided to make my deviantART account more active. In a day of uploading a few images I've already been "favourited" by a few people, I'm being "watched" by a few people and I've been welcomed into a couple of groups for Australian artists and comic artists. I knew that it was a thriving and active community and I've been meaning to increase my activity there for a while. It seems like I should have done this a while ago. DeviantART seems to be a far less insular community than The Forge or Storygames, with thousands of active members and hundreds of communal groups. It also looks like a better feeder for the Vulpinoid Studios website. This has gone out to all the usual messageboards and forums, as well as here at the blog. I'm hastily trying to get a decent revision of my current Quincunx thoughts together for Go Play Brisbane. There have been some significant changes since Gencon Oz 2009. 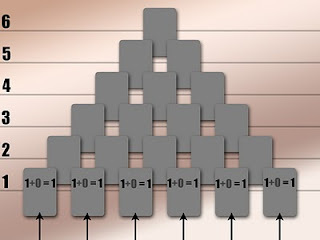 I know that the core of the system works, because I've used it successfully for two dozen games of Guerrilla Television, and for almost a dozen games of Quincunx. But if the core of the system is a skeleton, I'm having trouble attaching the meat and the organs. Guerrilla Television is designed to be a fun and light-hearted look at extravagant violence in the vein of Battle Royale, Gamer, The Running Man, and even real world concepts like Survivor or Big Brother. If you understand the tropes, you understand the game. There is little story, there is just carnage until one person is left standing...some people might try to escape, but it's so hard to do this that most would-be escapees die in the process. It's just a cathartic excuse to let out some narrative angst with a board and dice. Special thanks at this point have to go to Peter Blake. I'm still enthusiastic about the potential for the Quincunx project, but I've run into a couple of obstacles about where I really want the game to go. But with Go Play Brisbane on it's way, and Peter promising to run a scenario of the game for me during the con, I've really got to pull my finger out and consolidate some of the ideas I've had for improving the game. The good news is that I've got time to work on the game over the next week or so. I'm impressed that this little project is getting a bit of airplay beyond my own play sessions. Take the moral high ground, or play dirty. Open the door, or head elsewhere. Decisions are one of the aspects of a roleplaying game that really make it interesting as a pastime. Everyone will have different reasons for wanting a specific path followed, and they will all have a different response once the path is taken. 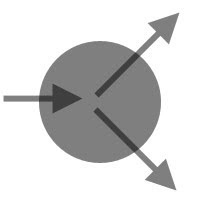 There are a few types of decision points; there may be two possible outcomes or more, there may be specific outcomes that seem favourable in the context of the game mechanisms, the simulation or the narrative. For the moment I'll focus on a couple of simply balanced binary decisions. These have two possible outcomes and each is just as likely to occur. Like a Perfect Mirror, a purely balanced binary decision point is virtually impossible to achieve. Players will always have a bias for one particular option (conscious or unconscious), and there will always be the possibility of other decisions which hadn't been considered. It's a natural follow-up to the last post, and on the surface it's very similar. Imperfect mirrors work very similar to perfect mirrors but their presence is blatantly obvious. It could be so blatant that a GM simply states that they don't want a game to head in one direction, so they actively deny the input from their players. It could be more subtle, with a game system providing certain options to the players, with the GM using the rules as a method to justify their denials. At it's simplest level, an imperfect mirror is a change in the story without illusionism. The players see it for what it is (whether the GM wants this or not). It is the opposite of "Say Yes, or roll the dice...", in fact it is basically "Say No, Don't bother to roll the dice, and now the story goes this way". 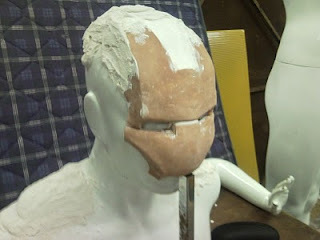 In case anyone's wondering what I do in my spare time when I'm not designing or running games, have a look over at my other blog, Making Iron Man. I've finally started posting some progress images. After receiving a couple of spam comments, I've decided to moderate the comments that people add to my blog entries...it's not that I don't want the feedback. It's just that I want feedback to actually be meaningful. OK, the grand picture has been framed, the analogies have been made...it's time to focus. Let's look at the first specific aspect of Vector Theory; the Perfect Mirror. A perfect mirror reflects a ray of light effortlessly, the ray doesn't even notice the presence of the mirror. It simply diverts the path in a new direction. A good GM is like a perfect mirror. The flow of the story continues in a straight line, the good GM introduces something that initially seems subtle, it might even be ignored. But that little introduction shifts the course of the story forever. Under the influence of a good GM, the players might think that their story hasn't even diverted, and that things were always heading in the final direction. The player's don't feel that their actions have been "railroaded", they feel as though they have followed their own destiny. When the comments go silent (except for spam), I can only assume that I'm shooting off on tangents that have lost relevance to anyone who might be reading. SO that means that people will stop reading, and that means that I won't get any feedback about my theories. If I wanted to write theories without getting any feedback, I'd just use the traditional cathartic process of filling a notebook or journal with words, then filing it away on a bookshelf or in a drawer somewhere. ...so it's time for me to start grounding my theories in some real world situations, in the hope that I might start luring a few comments back. I've been meaning to do this for a while, but I felt it more necessary to get some of the more abstract concepts out. Without the larger abstract context, a lot of the real world situations just look like the same stuff that everyone else is writing about in their roleplaying-game related blogs.